1. 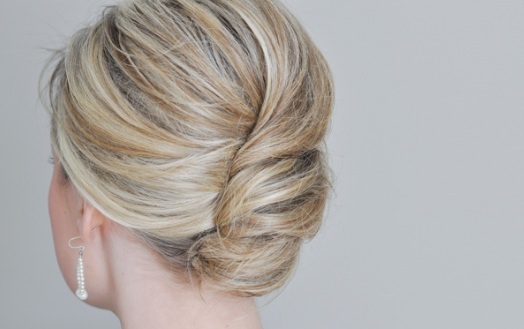 Smooth hair into a low ponytail. Use gel or mousse if necessary to tame stray strands to present a slick, smooth appearance. 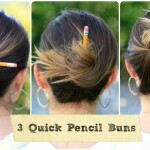 Do not use a ponytail holder; just hold the hair in place while you begin the style. 2. Lift the tail straight up against the back of the head in the position you’d like the twist to lie. Twist the hair slightly to form a thick roll. 3. Bend the roll to tuck ends under, noting that the bend at the top will be the top of the finished twist. 4. Tuck the entire roll inside itself with consistent pressure to keep hair on the outside of the twist smooth. Keep tucking until the outer edges of the roll disappear, leaving a crease at the edge of the twist. 5. 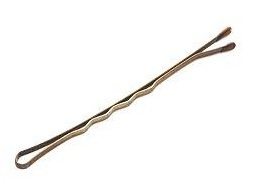 Secure the twist with bobby pins, hair pins, a claw, hair sticks, or other accessories. If you are attempting to twist your own hair, it may take several tries at first to achieve a suitable result, but once you’ve perfected your technique it will seem like second nature. • Parting hair off-center or not parting at all for subtly different looks. • Leaving wispy tendrils to frame the face, or incorporating bangs into the finished look. 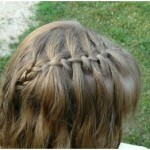 • Using a loose French braid as the base of the twist instead of a ponytail. • Keeping locks of hair out of the twist and wrapping them around the finished style for multiple layers. • Leaving the ends loose for a messy, casual finish. 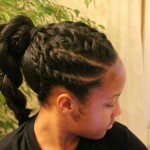 • Creating triple twists in symmetrical lines along the back of the head. • Angling the twist instead of keeping a straight line up the back of the head. 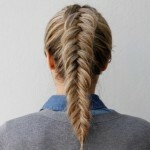 • Use a leave-in or spray-on conditioner to minimize tangles. • Gently smooth small bumps out of a finished twist with a damp fine-toothed comb. • Lightly spray the finished twist to help calm frizz and keep the style elegant and sleek. 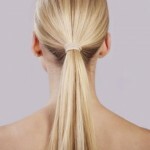 • Offset the initial ponytail slightly to help center the finished twist on the head. • Twist hair that hasn’t been washed for a day or so to help achieve the smooth look using your natural hair oils instead of add-in products. • Add flair to the style with additional accessories such as jeweled hair pins, flowers, or decorative combs. A French twist is simple-to-create style that instantly adds elegance and sophistication to any look. 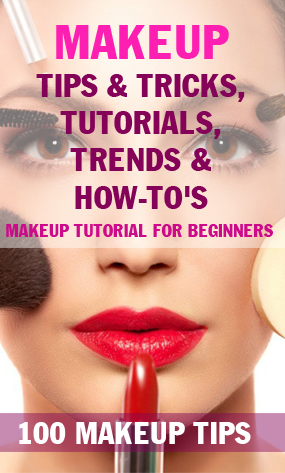 By learning the basic technique, experimenting with personalized variations, and accessorizing with different trinkets, it is possible to use this one updo style continuously without it ever seeming stale, boring, or predictable.